Getting a quote for a website can be a little bit like asking “how long is a piece of string” depending on who you ask, you’ll get a bunch of different answers, and this can be very confusing if this is your first experience with getting a new website. In this article we discuss the different types of websites, associated budgets and what separates an effective website from an ineffective one. 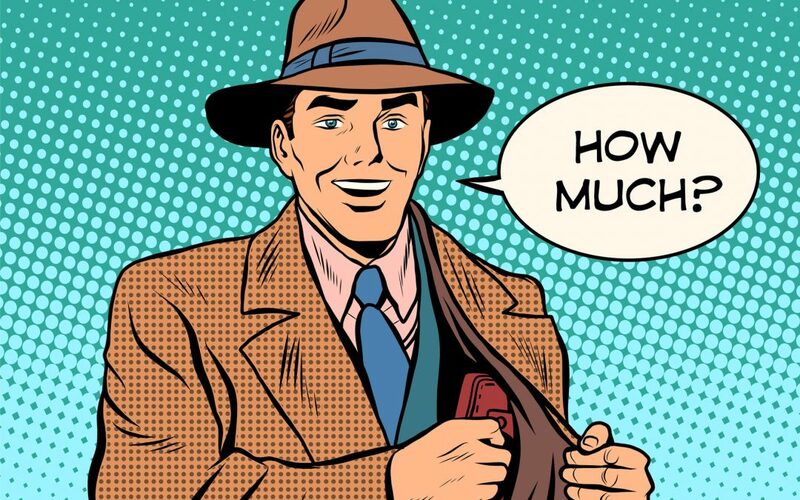 So rather than asking “how much does a website cost?” A better question is to ask is: “what can I expect to get for the budget I have”. If you are just starting up and your business is so small that you have to cut corners, we understand, but please be aware that going with a low cost freelancer or offshore company means that the quality of your website and communication with your developers will most likely suffer. An option for you is a website builder like Wix or SquareSpace – but before you go down that path, make sure you check their websites for the limitations of the services they offer. Design and usability can sometimes be quite restrictive if you don’t have design skills. Generally if you have a budget of less than $3,000 we won’t be able to help you. In order to dedicate the time, planning and attention to detail required to produce a valuable asset for your business, it’s just not possible to provide you with a result you deserve for a budget lower than this. 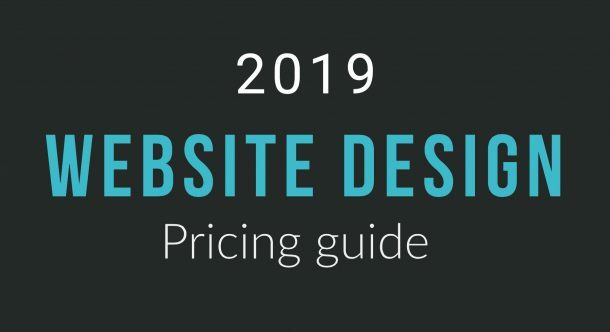 One of the best ways to show website costs is by describing the common types of websites, and assigning cost estimates. A logo and basic branding direction. To keep it simple, we are also assuming an hourly rate of around $100. Different professional agencies will have different rates ranging from $50/hour to $200/hour. So, what type of website do you need? As the title suggests, a one page website is exactly that – a website with only one page. These types of pages are sometimes called a “landing page” because people will land on this page when they click a link, an ad or email. Although these one page websites can be very long scrolling pages, there is usually not very much content. A “one-page” or “landing page” website has one specific goal: to drive the visitor to purchase a product, sign up for an offer, fill out a form or call a phone number. Everything on this site is aimed at getting the visitor to complete the call to action. Because these websites are so focused on one goal, it minimises the amount of time and effort required to build them. Costs for this type of website can range from $2,000 – $3,000+ depending on the project. You can view an example of a one-page website here. This website is the most common type of business website. It usually has 6 – 12 pages. The types of content areas you will see on these sites are; Home, About, Team, Services, Press, Testimonials, Blog, News and Contact page, form or email signup. The website is focused on promoting the brand, marketing the businesses services and providing potential customers with the information they need. We create these types of website using WordPress as the framework, and create a custom design, with additional features based on the client needs. Costs for this type of website can range from $5,000 to $15,000+ depending on the project. A Resource Centre with a lot of downloadable content. Costs for this type of website can range from $9,000 to $20,000+ depending on the project. A small business ecommerce website is a simple marketing website with an ecommerce feature for the purchase of products or services. In our experience, it’s easier and cheaper to use a hosted cart like Shopify or a simple WordPress plugin like WooCommerce to enable this type of website. These carts work best when you have standard ecommerce requirements that don’t require any specialised custom needs. Costs for this type of website can range from $9,000 – $20,000+ depending on the project. For this level of e-commerce website, we would probably recommend going with Magento or some similar cart. Costs for this type of website can range from $40,000 – $100,000+ depending on the project scope. These types of website usually require a team of custom web developers with advanced programming knowledge – this is not a service Website Boss provides, we prefer to focus on what we’re good at – high quality, led generating sales & marketing sites. How can I make my website more effective? One of the biggest mistakes business owners make is thinking that once their website is built, the hard work is done. Your website is just one spoke in the wheel of your online marketing strategy – you want to reach your customers wherever they are, on whatever device and platform they’re using. Your website is an important piece of the puzzle, but it’s only one piece of your online strategy. Social media channels like Facebook, LinkedIn, YouTube and Instagram are all potential extensions for your brand and in fact may get more visitors than your website and generate more business. So a website can be the hub of your online presence but don’t underestimate the effectiveness of complementary online channels to boost your brand and to drive visitors to your website ,which should act as the salesperson for your business. Another critical factor for your success is going to be your outbound marketing strategy. This means the strategic use of email, media buying and pay-per-click ads. This proactive approach will keep your brand and business in front of your customers, and will require some budget. One thing to remember when looking to get a new website, is that unlike tradition print, or offline media – a website doesn’t have to be perfect to get launched, it can be continually changed, updated and refined until you get the end product you need. If you have a limited budget, start of with the basics and then add more features, pages and functionality as more budget and requirements become available. Provided you start of with a scalable platform than can grow and adapt as your business does, you’ll always be well positioned to constantly build on your site until you have the perfect sales machine for your business!